Director Ananth Mahadevan, who is all set for his upcoming film "Gour Hari Dastaan - Freedom File", a film based on Gour Hari Das' memoirs, says the involvement of the Odia freedom fighter was necessary for the film for be a perfect biopic. 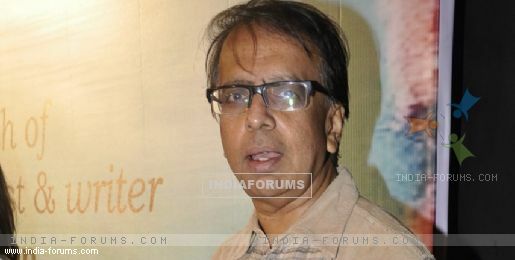 "(Gour Hari) Das' involvement was required as the biopic has to be perfect, and with too many cinematic twists and folds. Das always mentioned, that his struggle for country's freedom was much easier than the rigorous struggle with the country's government. "Das never wanted to make a happily ending fabricated story, which is always an adulterated biopic," Mahadevan said in a statement. The film features Vinay Pathak, Konkona Sen Sharma, Tannishtha Chatterjee, Ranvir Shorey, Asrani, Rajit Kapur, Vipin Sharma, Saurabh Shukla, Vikram Gokhale, Mohan Kapur, Bharat Dabholkar and Siddharth Jadhav among others. Apart from the star cast, the film also features the real life Das who was a part of the shooting from start to finish. Also, since there was no option to shoot in parts, all 23 actors of the film including Konkona, Vinay and several other acclaimed theatre and regional cinema actors all cleared up their schedules to shoot at one go for the movie. Produced by Bindiya and Sachin Khanolkar, the biopic encompasses the past in a stinging modern day satire on free India through the eyes of Das. The film is scheduled to release on August 14, the eve of Independence Day.